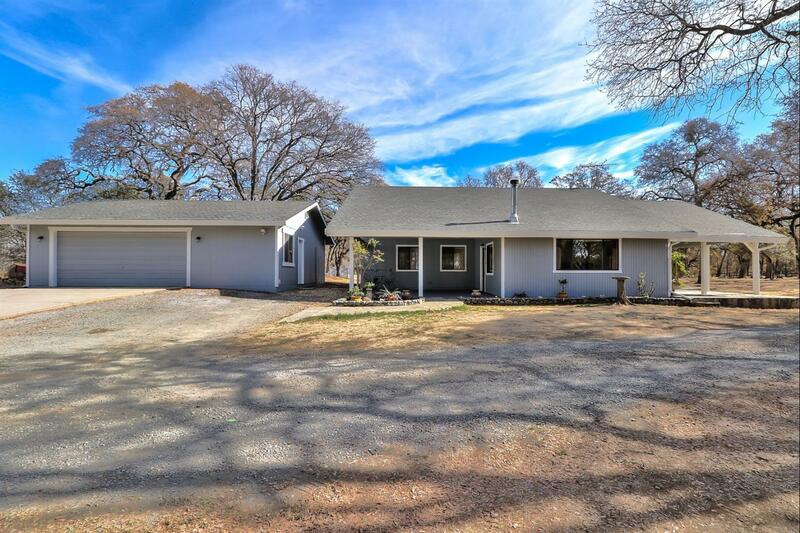 This private, beautiful updated, three bedroom, two bath, home sits on five acres, with plenty of room for the entire family. The home features a wood burning stove, spacious family room and a kitchen with extended outside living to the oversized covered patios. The barn has been converted to a livable, guest quarters with plenty of additional covered storage areas. The fenced pastures and rock outcroppings, allow for a great setting for your horses. Easy access to town.